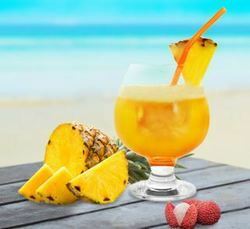 - Take 2 cups of B Natural Pineapple Poise with caramelized water (sugar + water). - Add to it, some salt, pepper, mint and B Natural Litchi Luscious . - Drop in some ice cubes and blend till smooth. - Add some powdered sugar if you like it sweeter. - Pour in a glass and garnish with fresh mint. 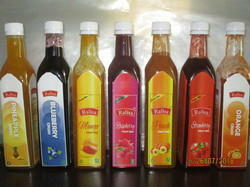 Pineapple Syrup is made from farm fresh and fully ripened fruits. It is being used in many bakery products. Customers can avail from us at very competitive price.